I do most of my shopping at The Book Depository and they have never disappointed me. 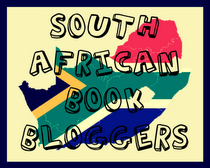 They offer great prices and free shipping to most international destinations - which is a huge PLUS for those of us in South Africa or other places where books tend to be quite expensive. I've been trying to force myself to buy less books since I already have a TBR list a mile long, but my true weakness is when The Book Depository offers their 10% off coupons. I simply can't resist the temptation. They are doing it yet again! Until 16 May they have a 10% off coupon for their UK site. To take advantage of the offer, simply click on this 10% discount link, add books to your shopping cart and be sure to enter and apply the discount code (PPN3WS) before checkout.